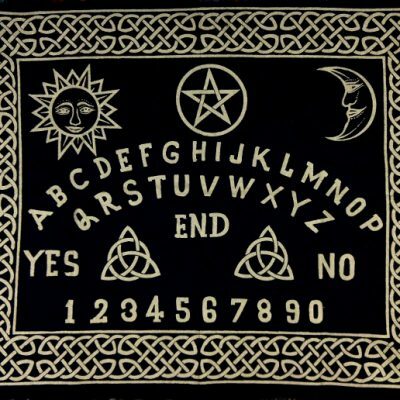 The Ouija board or spirit board was introduced in 1890, and became more popularized when used by spiritualist and occultists during a séance for divination. The main objective would be to call upon a spirit, most often one that is localized in a home or building, or an ancestor or person of importance, and to ask questions or make requests. When a group of people place their hands on a planchette or focus piece, they allow the planchette to move across the letters, spelling out the answer to their requests one letter at a time. Difficult to achieve at times, the explanation making the least assumptions would describe the process as a manifestation of the unconscious based on proper ritual or séance, as the spirit communicates with your intuition(s) to move the planchette for divining the answers. Some people have claimed that the planchette moves on its own, and can be frightening if unprepared. 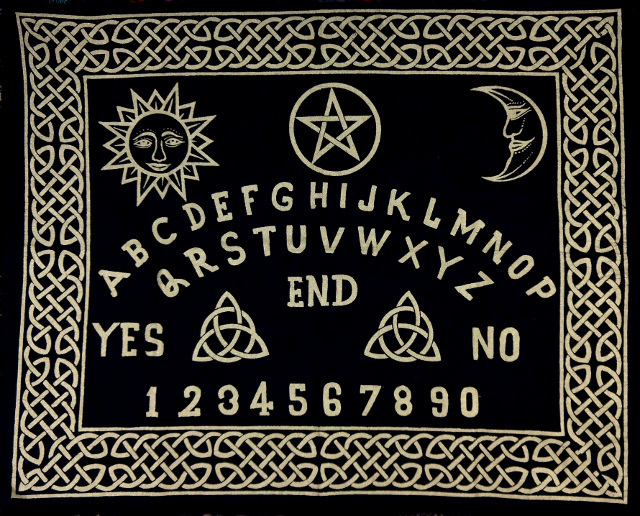 Our spirit cloths can be placed on a table or open floor, and can be used with any item that serves as a focus point or planchette.